UROC Events Calendar is full of biking fun! 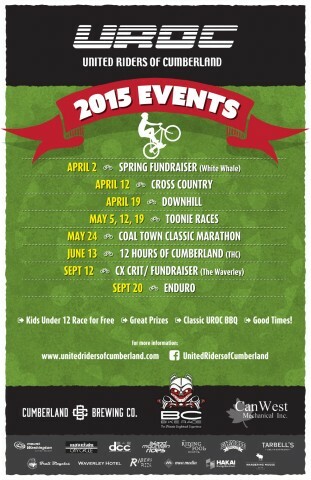 While we may not all be into xc or dh racing, there are a lot of good things going with the United Riders of Cumberland. A full race calendar of all disciplines along with trail maintenance, fundraisers, jump park construction and more, there is something for everyone. It all kicks off April 2nd with a fundraiser at the White Whale. Trail maintenance dates will be ongoing through the spring. For more information be sure to check www.unitedridersofcumberland.com or find their Facebook page for all events and more information.